Giraffes with short necks? Zebras with no stripes? Tiny hippos? 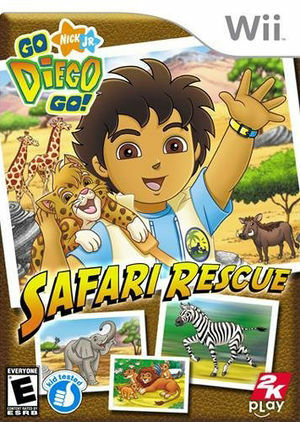 In Go, Diego, Go! : Safari Rescue a mean Magician mixed up all the African animals and turned the elephants into rocks too. Help Diego, Alicia, Baby Jaguar, Juma and Erin the Elephant undo the Magician's mischief with the Magic Drum. The graph below charts the compatibility with Go, Diego, Go! : Safari Rescue since Dolphin's 2.0 release, listing revisions only where a compatibility change occurred.